We create "Inventors of the future" - Lil' Brahmas. We stimulate everyone, to think and create. In a world, where art is seen as a hobby, our primary focus at Lil-Brahmas is to create help everyone understand about art, raise awareness for art, to educate the importance & role of art in one’s life. God had created us equal, how creative we stay is up to us. They say, every child is an artist, but to maintain that creativity is how we become artists even after we grow up. Everyone depicts their artistic talents differently, how we coax the display of talent is the true mark of a good art teacher. Being creative is really not some magic. It's all about the correct initiation to the art forms and the ability to think visually. Our Curriculum is developed with over 8 years of Research to generate Carrier & Ambition based Training Methods. Whether you are a Homemaker or Professional or Parents or Schools or Institutions or the Students from KG to College, we have something for everyone. Being acclaimed and acknowledged as one of the "Finest Art Schools in Chennai" it is an honor we wear with pride, but that is not the goal we have. our goal and mission are to help everyone discover the art they are destined for, and we at Lil' Brahmas wish to help them in that artistic journey. We are a committed team who have journeyed together. The accolades and the success we have achieved today is fully dedicated to our team and students. 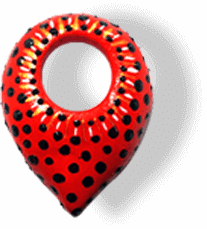 After all, our core aim is to stimulate creativity while blending in joy! With over 19 years of experience in the creative industry, Satish has worked on numerous facets of digital multimedia like animation, GUI design, usability, web designing, print & advertising media. While the digital creativity was incredible he longed to connect with young creative geniuses to ensure that they understood the impact of art and its applications on one's career and life. Satish has developed numerous online self-learning courses for aspiring students across generations. His never-ending passion shines through Lil' Brahmas and the team & students thrive under his leadership. Having won numerous prestigious awards for his creativity and excellence across the country, Satish is the charismatic, knowledgeable and compassionate leader that everyone looks up to. He is often quoted saying that being the Founder & Managing Director at Lil-Brahmas School of Fine Arts has been the best decision in his life. 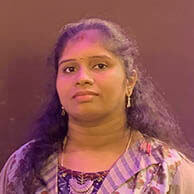 In the 5 years that Thulasi has dedicated to Lil’ Brahmas, she has become the backbone for the institute. She ensures that the quality and safety of the students and faculty is maintained at all times. She is the reason everything from classes to the strategy executions run smoothly in the organization. Having started the institute in an apartment eons ago, she has seen it all and dealt with it all like a boss! She is also the mentor for young professionals and homemakers trying to figure out their passion and interests. She is the patient soul who has a sympathetic ear for everyone. The Technology guru on the Advisory Board, he is the digital transformation leader at Tech Mahindra designing & delivering compelling digital transformation solutions and services. An entrepreneur at heart, he is a self-starter, highly motivated with a strong ability to assess the customer’s situation leveraging the available organization assets. He comes up with technology advice based on market trends in the industry. We would be in the dark ages if not for his presence. With over 15 years of experience in the media industry, Harish is a veteran in film production, advertising, web, game design, and marketing. 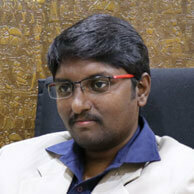 Harish is a mentor to numerous dreamers with a zeal to convert creative dreams and visions into reality. At Lil’s Brahmas, he can be found frequently speaking about his specialties: Audio-visual production, Creative Direction, and Social Media Content Creation Fine Art. This wonderful human being is student and faculty favorite for his informative sessions. 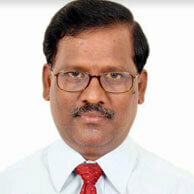 A brilliant Chartered Accountant with over 26 years of experience. He is the voice of reason for Lil’ Brahmas Founding Team’s fledgling dreams. 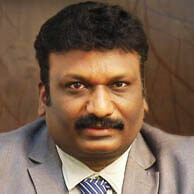 Having associated earlier with the leading Top Four firm of Chartered Accountants in Chennai, he is well versed in the audit of large-sized companies, along with representing Assesses at Income Tax Commissioner office, Registrar of Companies office and Commissioners of Indirect Taxes. 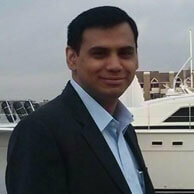 He is constantly updating himself on the latest ERP technologies to be best equipped to handle anything from clients. The person who makes sure that every entrepreneur’s intellectual property is safe and secure is the brain behind the same in Lil’ Brahmas. A priceless addition to the Lil’ Brahmas Advisory Board. A strong team is the foundation for any successful organization. With art experts & teachers being able to create curriculum, councilors with access to guide students, a creative team coming up with new echlons of creativity at every stage, with experienced sculptors redefining techniques, with textile & fashion designers sharing the best of the new age designs, with PR team conducting frequent quality assessments, with the HR team finding the best talents, with CRM team supporting customers and with trainers training the batch after batch of trainees we are a powerhouse of talent and commitment. And together, we are scaling new heights every day. We believe that the right attitude is the key to keeping the students interested and happy in learning.